In the season 2017-2018 Ye-Eun will play Bruch violin concerto under the baton of Mariss Jansons and the orchestras of the Bavarian Radio, and Musikhochschule Munich, perform with the American Dream Orchestra in Los Angeles and at the North Wales International Music Festival. She is re-invited by the Seoul Philharmonic Orchestra to participate in a concert during the National Liberation Day of Korea. In autumn she will be a guest at the Concordia Festival in Kazan to perform the Metamorphosis by K. Penderecki, conducted by maestro himself. Ye-Eun Choi will tour throughout the season with Mutter’s Virtuosi. Amongst her many honours and awards, Ms Choi was named the 2007 “Rising Star” by the League of American Orchestras and “Young Artist” at the European Cultural Awards in 2013. 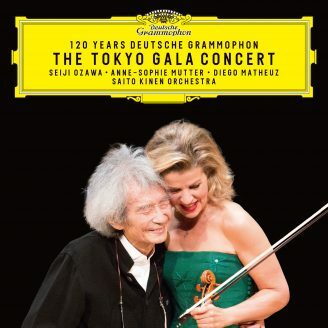 She made her Deutsche Grammophon recording debut in 2013 with an album featuring works by Mendelssohn, Schubert and Prokofiev. Munich-based Ye-Eun Choi was born in Seoul. 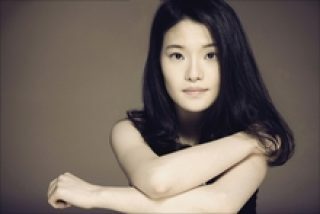 She made her orchestral debut at age 10 with the Seoul Philharmonic Orchestra. In 2004, she moved to Munich to study with Ana Chumachenco at the Hochschule für Musik und Theater. Ye-Eun Choi is represented worldwide by Natalja Slobodyreva at IMG Artists. 07/2017, © Photo: Felix Broede This approved biography is not to be altered or changed without consulting with the management of the artist.